Chew on this: I may receive a small commission for affiliate links, but all products I “dig up” are ones I paw-thentically love! Even after years of working closely with animals, I still like to speak with my veterinarian or other animal experts when questions concerning my pets arise. So when Olivia started meowing excessively for no apparent reason, I knew it was time to consult with The Catvocate, Dr. Liz Bales. When Olivia meows, it sounds like she’s in a bit of distress, but when I approach her, she acts normal and friendly. After chatting with Dr. Bales and doing some research, I discovered that there are many, many things that can cause a cat to meow non-stop! In fact, she told me that there isn’t one single answer to this question. But, excessive meowing can have a whole list of reasons and she’s been kind of enough to share some of them with us here. What Does Your Cat’s Meow Mean? Your cat might just be trying to say “hello.”After you’ve been away, it’s not unusual for your kitty to run and greet you at the front door and give you a sweet meow. She may also be inclined to greet new ones. 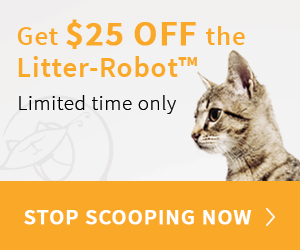 Your cat might want a little extra attention. If your cat comes up to you, rubs against your leg, and meows or purrs, you can bet that she is just seeking some attention. Cats crave interactions from their family, so it’s important that we show them how much we care for them by giving them that attention. Your cat may want to breed. If your cat hasn’t been spayed or neutered, you can expect some pretty unusual behavior from them. This is especially true as they transition from a kitten to a cat. Unspayed female cats make a very specific yeowling meow when they are in heat. Spaying them will end this behavior. Talk to your veterinarian about spaying or neutering your cat. There are many health benefits associated with “fixing” your feline, not to mention that your kitty won’t be contributing to pet overpopulation! Your cat might be bored or lonely. She might just be looking for something to fill her time. Especially if your cat is the only feline in the home (like Olivia is right now), she may become restless looking for a way to be entertained. Just because cats are rather independent creatures, doesn’t mean they don’t need mental and physical stimulation in their environment. Feline enrichment is a hot topic these days because so many house cats are overweight or obese (about 50%!) because they don’t get enough exercise or opportunities to use their natural instincts. Keep reading below for some advice and product solutions on enriching your cat’s environment. Your cat may need something. Try to read the situation. If your cat is looking longingly out the window, she may see something that caught her eye, like a bird or a bug. This is a good signal that she needs some mental stimulation and play time. Or, if she’s meowing and staring you down as you eat a tuna fish sandwich or rubbing against your leg every time you walk close to her empty food bowl, you know she’s hungry. Your cat could have a health concern. She could be meowing because something is truly wrong. As our cats age, they often develop health issues, so she may have pain or she could be confused. Dr. Liz Bales says hyperthyroidism can also be a culprit. She says, “Cats who become hyperthyroid meow a lot, particularly overnight. Hyperthyroidism is a disease most commonly seen in cats over 8 years old.” If you can’t figure out why your cat is meowing, your cat seems ill, or her meowing is excessive, it’s important to have a talk with your vet to rule out any underlying conditions. According to Catster, there are six different kinds of meowing sounds, and each one signals something different. If you’re curious about which meow your cat is using, simply search for cat meowing videos to compare them to your cat’s meows. But always talk to your veterinarian if you have ANY inkling your kitty may be in pain, distress or sick. Don’t ignore your cats meowing without establishing the reason. Remember, there’s something causing her to be vocal. Even if you think your cat might just be meowing only because of boredom or to gain attention, make your best attempt to establish the reason. Do find a source of entertainment for your cat. Your cat needs to play and keep busy. Adopting another cat to keep your current kitty company is an option for some. However, if that’s not an option, or you already have multiple cats, try out some new kitty products to keep her entertained. My kitty Olivia loves keeping busy with this Cat Activity Play Mat . Don’t punish your cat for meowing. Punishing your cat for meowing isn’t kind or effective. Dr. Liz Bales advises to never hit your cat, yell at your cat, or spray her with water. These techniques don’t work and will make your cat scared of you. Getting to the root of the problem is always the best course of action. Do talk to your vet. If you can’t figure out what your cat needs or wants, it’s time to have a conversation with your vet. Your kitty may have a health concern that needs to be addressed. Don’t put this off — cats are great at hiding illness, so if you so much as have a hint of suspicion there’s a health issue, see the vet. Don’t reward bad behavior. If it’s excessive attention that your cat is seeking, don’t give in to her every want. Dr. Bales says, “If you know your cat is healthy and safe, their needs are met, and your cat is meowing for something you don’t want to give – like endless treats. Don’t give in. If you give in, you have told your cat that endless meowing works and they will just keep doing it.” Rather, focus on good behavior. Reward her with attention when she’s been calm and quiet. Your kitty will catch on to what you respond to. Do make sure your kitty has a smart set up for feeding time. If you want to provide a mentally and physically stimulating meal time (healthiest for your cat), you can use Doc & Phoebe’s Indoor Hunting Cat Feeder . Make your cat work for her food! For her, it won’t be work, it will be more like play because her natural instincts to hunt, pounce and play will engage! You also need to ensure your kitty has enough water and feels encouraged to drink. Dehydration can cause health issues in kitties, which may also cause excessive meowing. This Catit Flower Fountain is Olivia’s favorite. There are some real primal reasons for most pets enjoy drinking from running water and “hunting” for their food, even if it seems weird to us humans. Above all, we want our pets to be healthy and happy. Taking the time to address concerns with our pets will lengthen and add joy to their lives. Certainly, that’s something we all want for our beloved animals! *For more products to help keep your kitty healthy, active, and happy, check out my Amazon Storefront to see the best cat goodies I’ve come across recently!